Hunt Country is filled with so many beautiful, small historic towns. Living in Warrenton we are centrally located to what feels like everything! An hour to Leesburg, an hour and a half to Charlottesville, so we always like to take little trips to grab a bite to eat, drink and shop at local businesses! My husband is a breakfast food addict so I had been dying to take him up to the new Red Truck Bakery in Marshall. They just recently opened a much bigger location and moved their headquarters from our little town, Warrenton, to the Marshall location. We both finally had a morning totally free and decided to pop over. The town of Marshall is SO cute! They have another store I've been dying to check out, The Whole Ox. 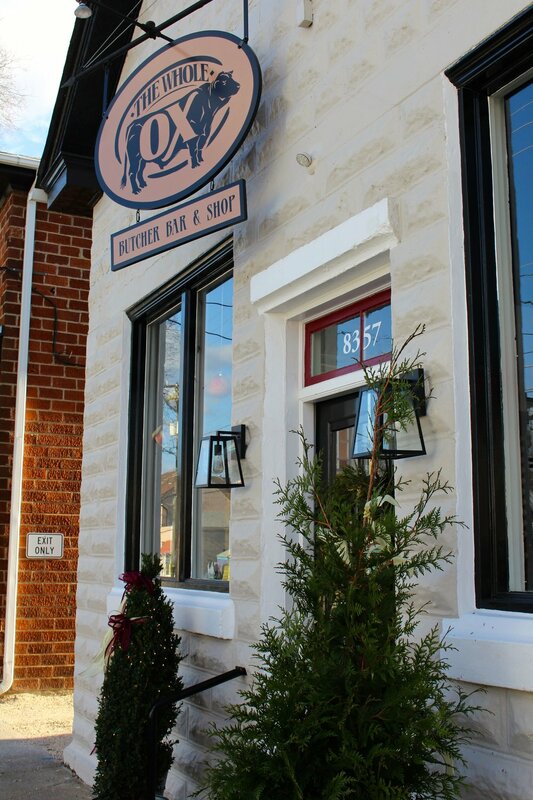 It's a boutique butchery that additional sells produce, cheeses, housemade goods, wine and beer! I totally recommend stopping by Marshall if you're looking for a fun little outing! I took my camera out and snapped some pics of the little town to share! Till next time, happy planning! Cheers!